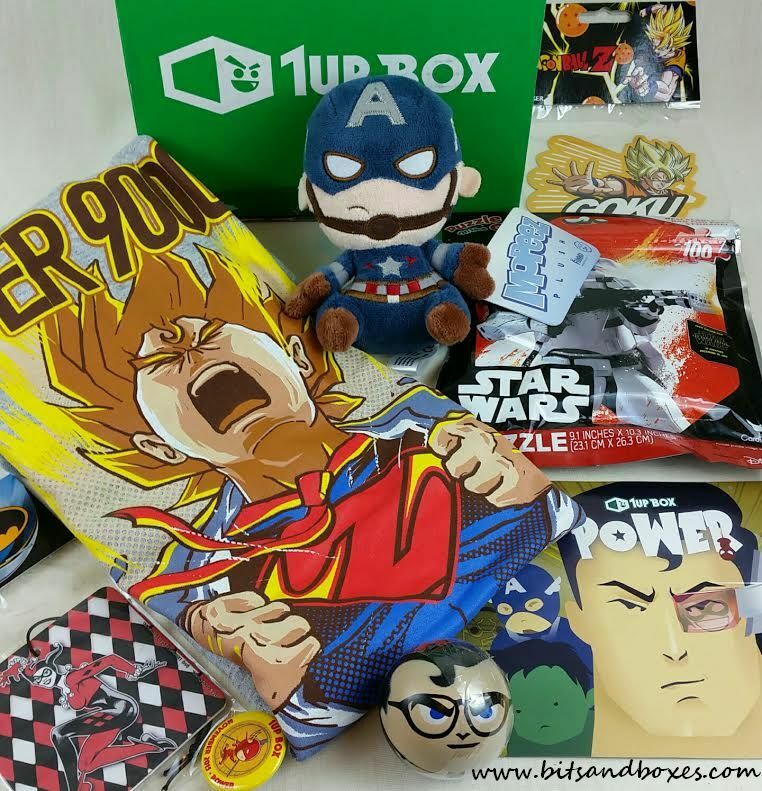 1Up Box is a geek and gamer subscription that has monthly themes and (my favorite part) always has a t-shirt! I've been pretty happy with their collaborations, themes and content. I should also say that their t-shirts are a better quality than some of the ones I've gotten in other boxes. Harley Quinn Air Freshener- I'm not a huge fan of filler but my husband loves Harley Quinn (he keeps telling me I need to dress up like her for Halloween). 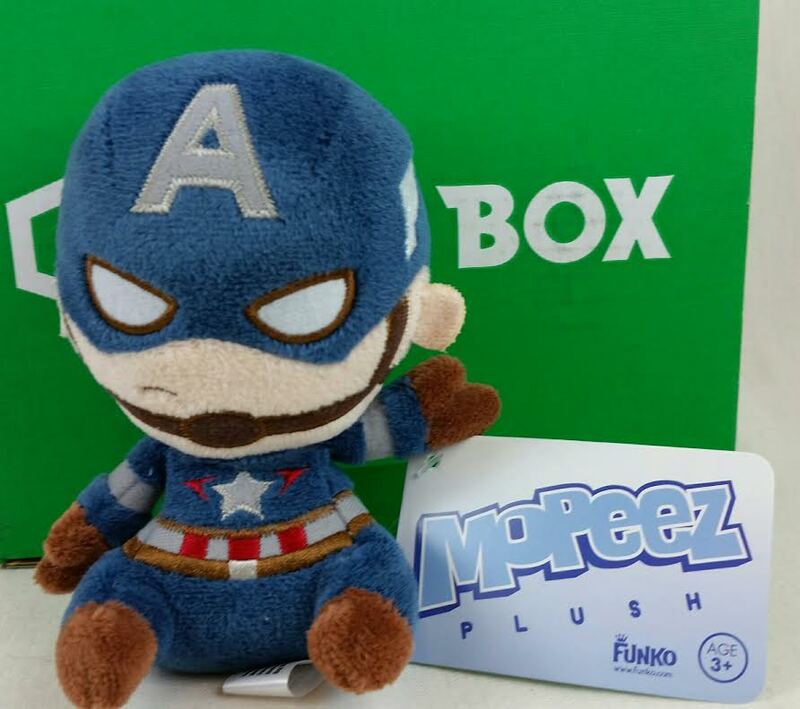 He also seems to enjoy horrible air fresheners so he'll likely use this. Star Wars Puzzle- I got the Stormtrooper but there's also Kylo Ren. I think I'm going to save this for my friends stocking. 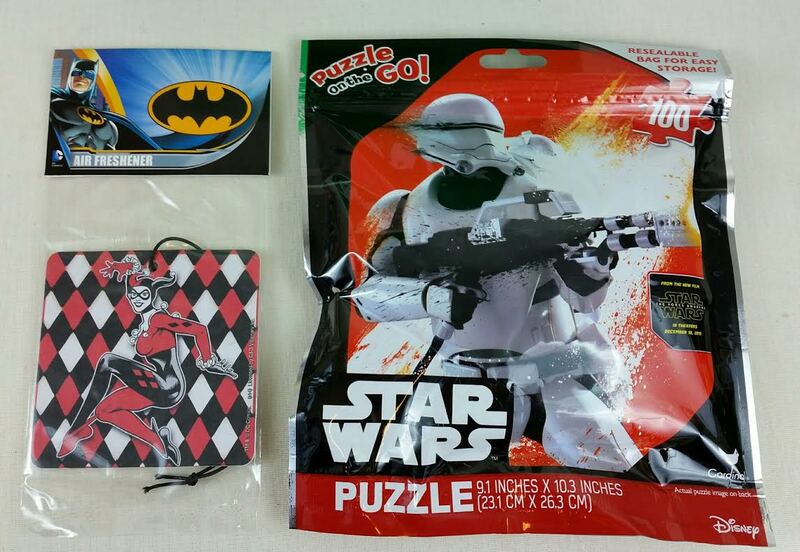 He's a big fan of Star Wars and I think he would appreciate the hilarity of finding a puzzle in his stocking. We are planning on going to his family Christmas and they do stockings together in the evening so I'm going to stick this in when no one is looking. You know what the weirdest part is? Seeing the Disney logo on this. 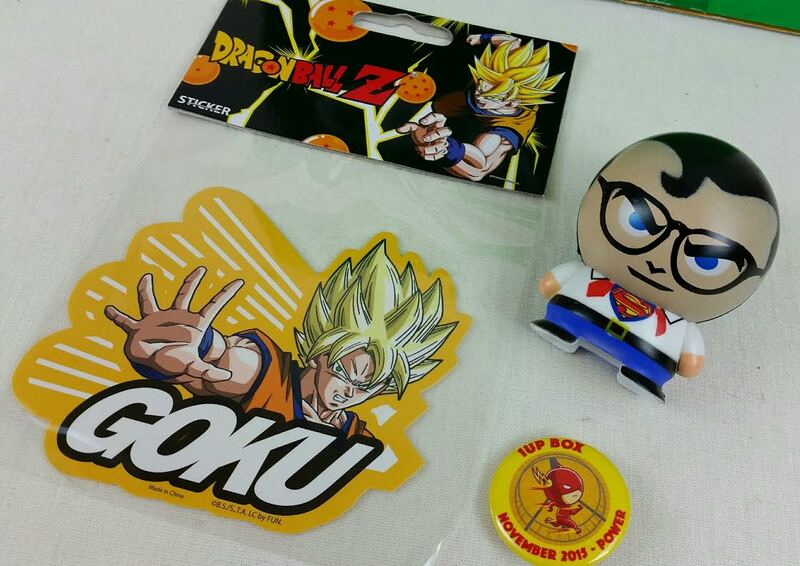 Dragon Ball Z Sticker- Filler alert. A sticker. Of Goku. 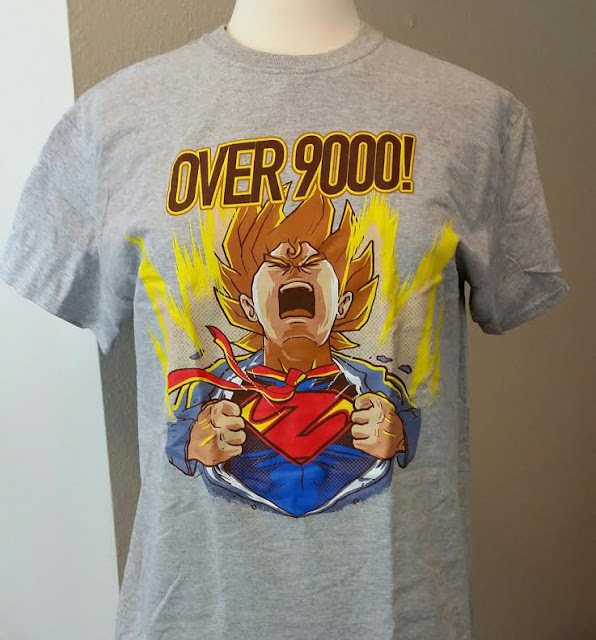 This will be a stocking stuffer for a closet Dragon Ball fan. Mwuahahaha! DC Buildable Figures- Actually, I think they should call these BuildaBALL figures because they're a ball that you open and find the body inside. There are six options, I got Superman but I really, really wish I'd gotten Aquaman. I used to be in love with Aquaman when I was about seven. I know, weird. Especially because our TV was black and white. VERDICT: This might have been one of my most favorite geek boxes because the t-shirt is great, the Captain America is adorable and everything else is going for stocking stuffers. This box also is at a great price point, one of the lowest for geek and gamer boxes and it still delivers the awesome. If you would like to sign up for 1up Box, you can do that here. Use code AWESOME to get $3 off your first box. It's absolutely worth that, imo. What's your favorite subscription like this? For me a lot of it seems to depend on the theme but I have decided I really prefer the ones that guarantee a t-shirt each month.